Until now the former D&H division of Canadian Pacific that runs from Montreal to Scranton clearly had a few old hands buzzing about in the signal department as whenever it became necessary to replace aging searchlight block signals with something more modern, the go to signal was not one of those horrible Darth Vaders, but solid state Unilens style searchlights. The same went for interlockings with modern searchlights mounted on modern gantries. Well whomever that was appeared to have retired because on the latest re-signaling project going on at Ford Edward, NY those standard of standard Vadars were replacing the last bit of D&H charm. Even worse they weren't even sticking to the D&H practice of using three heads on all absolute signals. Boo you CP, way to ruin another railroad. While the bracket replacement out west of buffalo might be a necessary piecemeal replacement, what is going on in the Mohawk valley is much more disturbing. 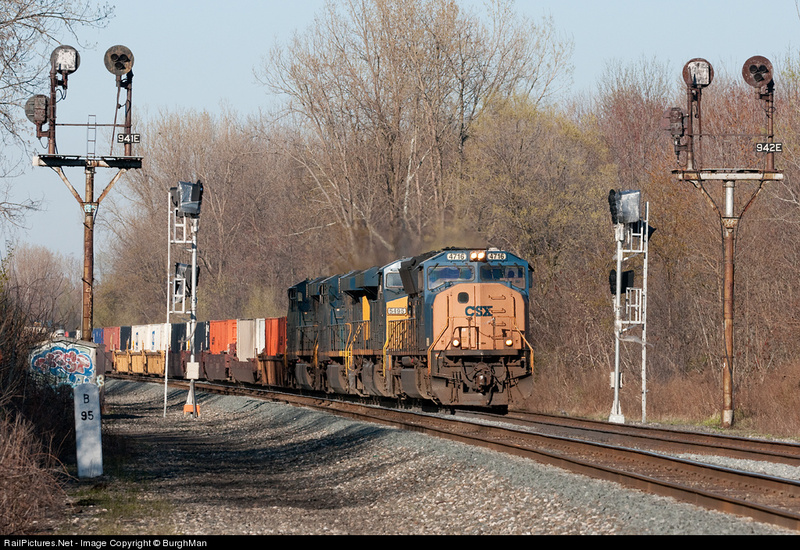 I posted recently about CP-175 and then came upon move evidence that CSX has been on a tear in that care replacing all sorts of signals between CP-RJ and CP-188 in Fonda. The true extent of the damage is not yet known, but the double-distant NYC signal bridge between CP-175 and CP-169 is slated for replacement so if you live in the area please get out to bot that and the two adjacent interlockings ASAP. Hopefully CSX will hold off on CP-169 until the high speed rail funds are available to give it a little more time. If only the Lake shore had a railfan window I could survey the line in one go! In today's news we find CSX getting ready to tear down the former New York Central bracket masts at MP 94 (West) on the Chicago Line. 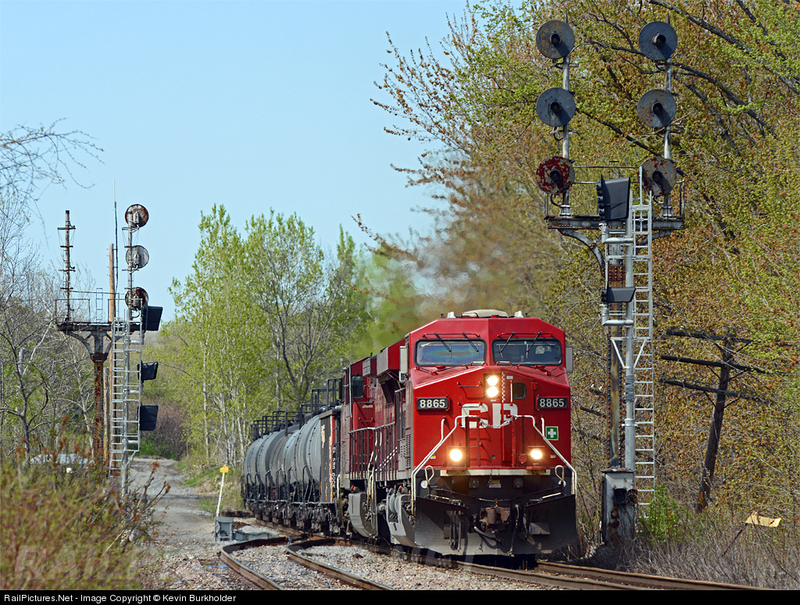 This is not part of a re-signaling, which was performed by Conrail in the 80's or 90's, but just a replacement of the rusting bracket masts and signals. In today's episode we will take a look inside PAOLI tower via a series of photos that were taken in 2004. As far as I am aware there have been few changes to the tower since then so as of 2010 this information should still be valid. PAOLI Tower was built in 1896 with a mechanical frame and shared design elements with adjacent BRYN MAWR tower and CLY tower a bit further away on the banks of the Susquehanna River. PAOLI was an intermediate design between the generation of all wood towers and the later PRR standard all-brick towers. It literally split the difference with a brick base and a wooden upper story. PAOLI tower is showing its age with a large brick patch on on its lower level and a large piece of plywood blocking off the location of its bay window that probably succumbed to rot or some such. PAOLI is also suffering from Tower Window Syndrome and as built was fully surrounded by full length double hung windows that have since been boarded over or replaced with modern window types. The tower retained its classic look through the 1960's, but at some point thereafter suffered the blows to its appearance. PAOLI's original PRR style nameplate was later replaced by a more dynamic Penn Central green nameplate and ultimately a plain blue Amtrak nameplate which about 25 years later is heavily faded.